Bravely Second: End Layer is ranked in the 90th percentile of games scored on OpenCritic. By piling complexity on atop the simplicity of a tried-and-true formula, Square Enix has produced a worthy successor to Bravely Default. I'm sure the developers are already thinking about what it would mean to "Bravely Third" in battle. Bravely Second: End Layer is an absolute delight of a game. Traditional where it needs to be, and wildly humorous when it wants to, this is the perfect follow up to the spectacularly successful original title. Bravely Second takes concepts from it's predecessor and improves on them completely, making this the best game on the 3DS. Where Bravely Default delivered revolution, Bravely Second: End Layer presents evolution. Whisking players back to Luxendarc's charm, it is everything that we could have ever wanted from a sequel. Silicon Studio strongly leads the charge in a bountiful year that promises numerous Nintendo 3DS exclusive RPGs, and in Bravely Second have made sure that the bar remains high. Bravely Second might not take as many risks as a sequel should, but that doesn't matter so much when you experience the great character interaction, impressive graphics, outstanding soundtrack and addictive gameplay of this wonderful RPG. Bravely Second is not only a great new entry into the newly minted series with this release, but it is also exactly what a sequel should be. Even with returning characters it was nice that they didn't steal the lead from the newest entry as can sometimes happen when an older introduced character is "cameoed". Building upon the aspects of the first while making improvements big and small to something that already worked was amazing. Not sure what the third will be called but I truly hope that this series will continue on. My only hope is that the developers at Silicon Studios haven't reached their own end layer with this series. They've essentially perfected the Bravely formula, and I look forward to how they might change things up in the future. Bravely Second: End Layer schafft es zwar nicht die Geschichte des Vorgängers zu toppen und recycled doch einiges an Schauplätze, überzeugt aber trotz allem mit einem umfangreichen Aufgebot an Klassen und Ausrüstungsmöglichkeiten. Vor allem die Chemie zwischen den Charakteren und die Art und Weise wie sich die Entwickler in Bravely Second teilweise sogar selbst parodieren, ist mal wieder großartig ausgefallen und wird vor allem Fans des Vorgängers wieder in seinen Bann ziehen. Bravely Second: End Layer is definitely near the top of my list of favourite games of all time. Admittedly I went into Bravely Second: End Layer expecting to be let down, especially after how much I had enjoyed the first game. Despite the issue of sameness mentioned previously, my misgivings for the sequel have mostly been proven misplaced and I'm more than happy to eat crow as I continue to enjoy experiencing the trials and tribulations of this new generation of heroes as they find their place in the world, rescuing it along the way. All the harrumph and bluster about cut content and changes does little to change the fact that Bravely Second: End Layer is a fantastic game that should satisfy fans and foes of the original game. There is a lot of revisiting, and some forced moral quandaries that I don't exactly agree with (from a logical stand-point), but they do little to affect my overall enjoyment of this game. Bravely Second continues in the footsteps of its predecessor, trying again to find that magic oasis of fun which balances out the old and the new. As a sequel, Bravely Second: End Layer does everything right. 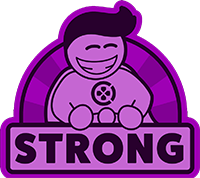 It improves on its predecessor in nearly every way, shakes things up enough to still be exciting for players who may have recently poured sixty hours into the first game, and offers a meaningful chance to reconnect with beloved characters. Even better, it's a nearly-perfect JRPG in its own right. Beautiful, well-written, and endlessly engaging in gameplay and story, this is a wonderful example of why people fall in love with the genre. Simply put, Bravely Second is a must-play for JRPG fans, and one of the 3DS' finest games to date. To make a fittingly Nintendo-affiliated comparison, Bravely Second: End Layer is to the 3DS what Bayonetta 2 was to the Wii U: a sequel with its own respectable amount of anticipation that, while offering little by way of drastic change, delivers more than enough fresh and returning moments to remind us all (new and veteran players alike) why such a release struck an immeasurable chord in the first place. Everything you loved about Bravely Default, but with more interesting characters and a more captivating story. The graphics are fantastic, and the 3D game maps are very fun to explore. Bravely Second: End Layer is inextricably tied to its predecessor but still manages to be a fun, cute, old-school styled RPG. Bravely Second redeems the worst sins of Bravely Default and is an entertaining homage to the classic turn-based RPGs of yesteryear. Bravely Second is a well crafted follow-up to a strong role playing game. While the sidequests are a big bummer, the terrible loop at the end of the journey is now fully gone. The mixture of old and new characters, locations and ideas works quite well, though the feeling remains that more could have been done to the world as a whole. That doesn't mean that you won't be charmed by most of what the game offers, because faces like Yew's or Magnolia's are hard to ignore. It helps that it moves along at a solid pace and the battle system is still a joy to behold. Bravely Second: End Layer is everything I want out of a JRPG. If, deep in your soul, you love optimizing characters, power-gaming, and creating incredibly broken move combos while still being challenged by enemies, then Bravely Second provides the perfect playground. Fans of the original may find their return to Luxendarc a little too familiar, and the story may be a bit cheesy, but the combat system alone is worth it. All in all, it was still a great game from beginning to end with a nifty little twist once you "beat" the game. It's addicting and really fun to play and it makes me wish for more turn-based RPGs. Even if Square decides to re-use everything again, I really wouldn't mind seeing a Bravely Third. If you're a fan of classic RPGs, then I believe that this is a must-have title. Despite its flaws, it's still a charming game that gives you a great dose of nostalgia while providing you with hours upon hours of entertainment you find yourself coming back to after you put the game down thinking you've had enough! Bravely Second is one of the few JRPGs to play purely for the gameplay. While the story is good, the writing tends to spoil one too many potentially great moments with unnecessary fluff and comedic skits. On the other hand, everything else about the game is fantastic and was more than enough to hold my attention. Though the writing may make you cringe, the fun and incredibly deep battle and customization system makes this an easy recommendation to any JRPG fan. "Bravely Second: End Layer" is a well-polished rendition of the classic gameplay that fans of Japanese RPGs know and love. The game doesn't necessarily break any new ground in a widely travelled genre and can be susceptible to some well worn RPG tropes. Its beautifully presented world combined with wonderful music and fun battle system, however, make the game a pleasing romp and worthy addition to any classic JRPG fan's library. A spellbinding, effortlessly charming JRPG that freaks with the formula while respecting what makes the genre great. 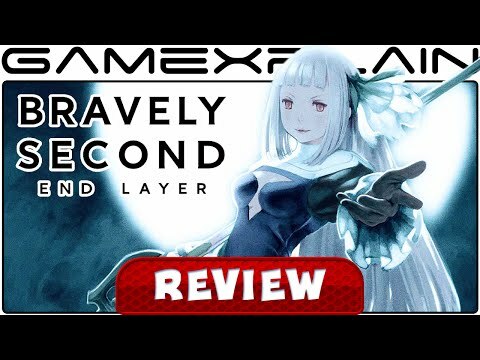 While some might find Bravely Second two twee or jokey to be taken seriously, others will find a smart, witty and surprisingly rich adventure, mixing old-school style with brilliant 3D graphics and a knowing, humorous tone. We'd warmly recommend it. Bravely Second manages to retain much of what made the first game so good, but it stumbles too much to really leave a mark. Bravely Second: End Layer does not live up to its predecessor's standards but this does not make it any less of a good RPG. Its visual environment is superb, it's loaded with content and its lifespan will keep everyone around it for a long time. It also improves on its predecessor's class system, while it falls out with the soundtrack and narrative. If it weren't for the utterly brilliant turn-based battle system, freely customisable characters through new and old job types, and the breadth of accessible options that enhance the RPG experience tenfold, Bravely Second would be held in lower esteem, since the narrative that tries too much to hit comical notes and lacks a core that sets itself apart from other role-playing storylines is disappointing. There are some clever ideas thrown in that try to improve on the original game's plot, along with a handful of entertaining characters in amongst the obnoxious ones, as well as great use of 3D, but End Layer should be played for its battle and job systems first and foremost, provided the original title was enjoyed. Look closer and the connections between "the daily grind" and this form of "play" multiply, spiral out, form fractals.